Born and raised in “Motown” Detroit, I owe my life and work ethic to the blue-collar upbringing of my loving parents. Mixing grit, optimism and passion in a _ ratio, this is the story of the success and challenges that followed. Grilling outside in the dead of winter? Loved it, even as a kid. Sweating over a deep fat fryer at the local seafood bistro? Had a blast at my first cooking job! Food would lead me across the globe and back again. 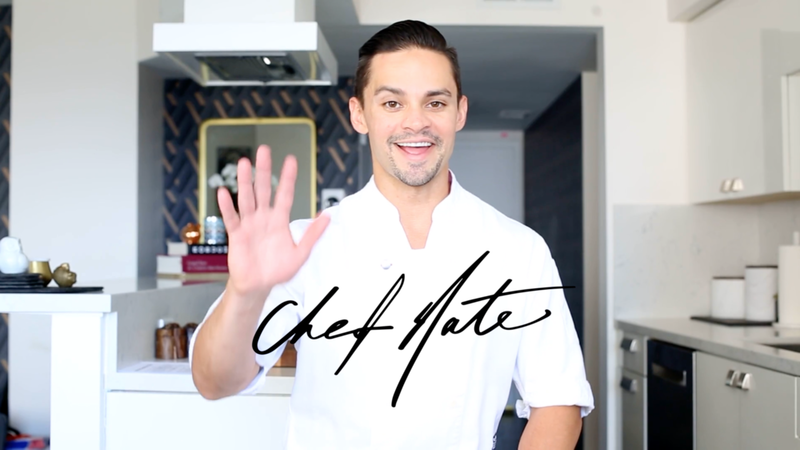 As you’ll read, I took some risks in bootstrapped wanderlust and made some possibly fatal career mistakes along the way… Yet, it was wide eyes and culinary curiosity that lead me on a path to become one of the finest private chefs in Los Angeles. In 2001, along with a culinary degree from Henry Ford, I jumped from the fish-fry of a local bistro to the kitchens of The Ritz-Carlton in Dearborn, Michigan. They took a chance on me (what a green culinary grad I was!) and I began my training in refined luxury service. The chefs of the Ritz exuded efficiency and a mastery of craft that had me in awe. I was immeditely humbled yet excited to work with these culinary giants. I studied cookbooks at night, and by day I cooking alongside my peers. My perspective on life (and food) changed forever when I headed to Europe to taste authenticity and explore the world. On a bootstrap budget, I backpacked 13-countries in a tour de force of the old world. To do so, I quit work and racked up some ridiculous debt. I traveled by train on a schedule that was loose, fast and sometimes frustrating. Eating everything from pizza in Napoli to Schnitzel in Munich, I was fully immersed in cuisine and foreign culture. Over those three months my perspective of at the world (and my small place in it), came into focus as eventually I found my way back home. I had to choose, working the three jobs just to-get-by, or bet it all on a temp gig in Hawaii. Again, I had to risk the life I knew in order to become the Private Chef I wanted to be. Cooking on the farming estates of Ted Firestone; fish, fruit and the abundance of the island were my muse. I fed the chickens who gave me eggs for breakfast, I hunted venison for bonfire parties and foraged for passion fruit to temper my pastry skills. I came into my own food style on the island of Maui. Deepening my respect for nature, food and its' relationship to the land that resonates to this day. Cher was my first big celebrity client as I began to cook at her Malibu estate and in Las Vegas’ Caesars Palace where the artist performed her residency. 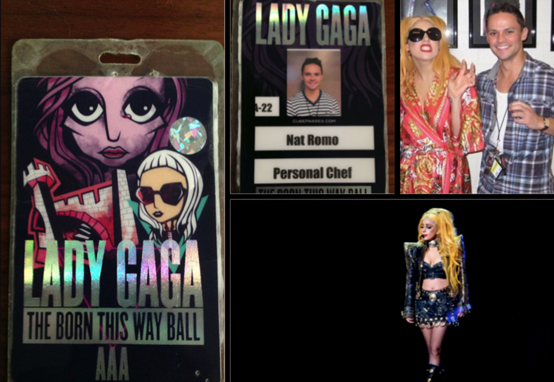 In her employ, healthy, nutritious and fabulious became my new normal. I admit, at first, it wasn’t easy… but if I could hang with Hawaiian locals and wrangle a wild boar, I knew I could handle a few goji berries! Working for Cher as her Private Chef helped me learn how people’s desires change when they eat at home instead of out at restaurants. As well as how to work within the unique dynamic of a celebrity home. Thailand, Monaco & the Maldives : Over the next few years, I had the great fortune of cooking for both the California billionaire Tom Gores and for a Russian billionaire (best left unnamed!) on the French Riviera of Monaco and in Beverly Hills, respectively. Chopping and working along side the waves of the ocean, the life of a “yachtie” cruises past in galley kitchen of a mega-yacht. Michael Jacksons “Rock with you” roils from a boombox, a self-aware soundtrack to choppy seas. Through the port-hole window, buddhist temples, fishing boats and sunsets inspire an exhaustive, thrilling lifestyle. Hand selected to join the 2011 “Hautes Etudes du Gout” culinary program, I studied advanced culinary theory through the University of Reims in Champagne, France. One of only 18 students, I attended lectures on subjects like “The aroma of taste in cooking” by leading theologians and enjoyed meals prepared by some of the finest French chefs. My understating of the table as a showcase for family, culture and culinary art deepened as a result. In early 2012, I was ready to unpack my suitcase, but life had other plans for me. 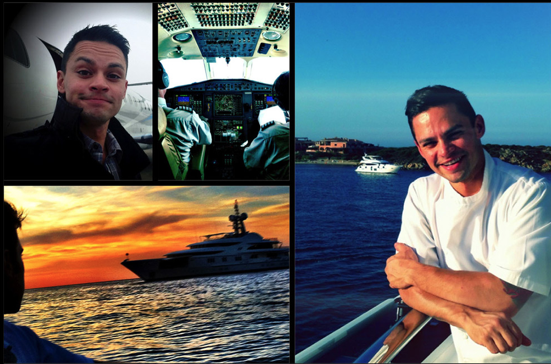 As the Private Chef for Lady Gaga, I embarked on a world tour with a round-the-clock, seven-days-a-week lifestyle. We traveled all over the world from Asia, europe and South America. I cooked either in hotel kitchens where I was given freedom to shop from their walk-in refrigerators, or I made food backstage at a show. ...I had a pop-up "road-kit" that functioned as a make-shift kitchen: Induction cook-tops and a tea kettle to boil water quickly, I sometimes had to cook without running water and/or electricity! It takes a resourceful chef to make it good and make it quick, because when the tour bus is ready to depart; me and my food had to be on it! 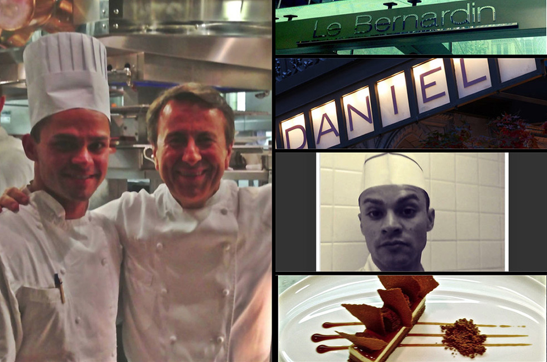 After the Gaga tour concluded in 2013, I secured internships at two of New York City’s most beloved restaurants, working with Daniel Boulud and Eric Ripert at Daniel and Le Bernardin, respectively. Food is a trend-based industry where chefs set course for one another, often in restaurants. Mentorship under chefs you respect ain’t only for newbies! Because successful chefs never stop learning. Ready to finally unpack my suitcase, I started looking for a private chef job back in Los Angeles. When I heard that Sir Elton and David Furnish were hiring for their Beverly Hills home I jumped at the chance. I’d heard the job was difficult not only because of Elton’s well-known temper, but also because the chef needed to double as a house manager. ...to preparing delicious, nutritious meals, my responsibilities with Sir Elton included hiring maids, vendors, overseeing work and caring for the artwork and in a multimillion dollar property. Needless to say, I worked seven days a week when needed be! Many had failed before me in this dual position, but this time was different… I thrived on the challenge and enjoyed the complexity & care that was necessary when working for another ultra-discerning client. Now with over 14 years of crazy good, hard-fought, globetrotting culinary refinement, I’m back at your service with (PCC) Private Chef Consulting where I do chef mentorship and chef placement. 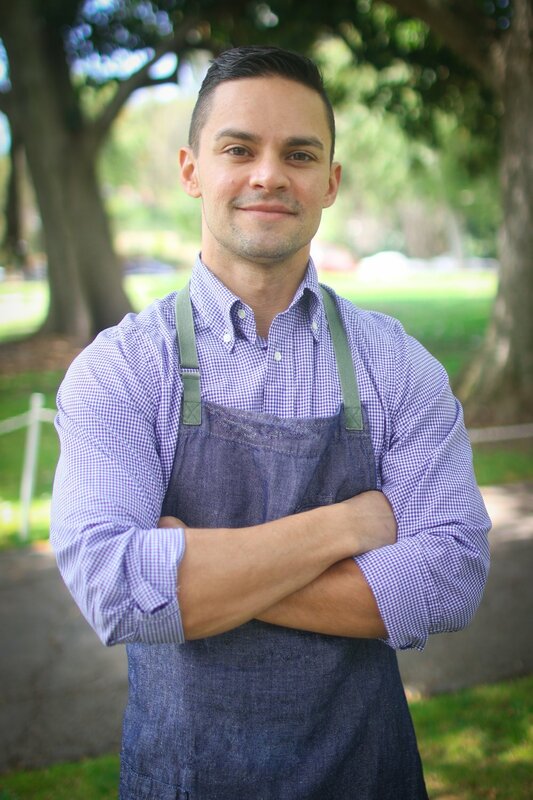 Helping guide private chefs and clients through the job placement process, I help make it easy to find and hire the finest private chefs in Los Angeles. Hard-work the under the guidance of professionals. Now, the skills, knowledge, network and credentials I’ve earned across my career are available to you. So let's talk today about what comes next! Thank you! I will follow up with you as soon as possible.